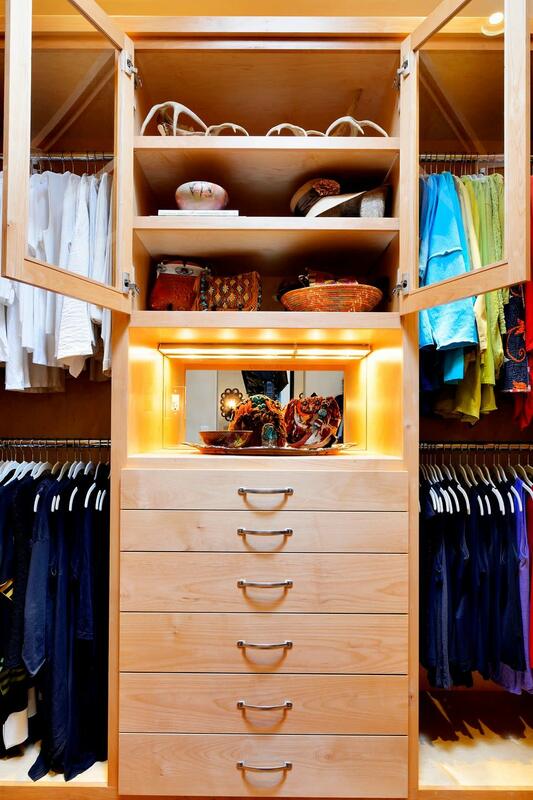 We built 24" deep boxes to really showcase the beauty of this walk-in closet. Taller hanging was installed for longer jackets and dusters, and short hanging for scarves. 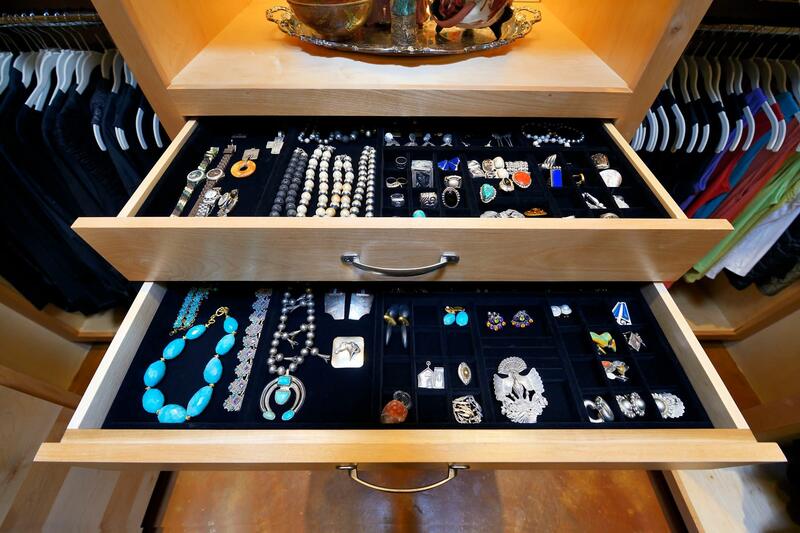 Custom-designed jewelry trays were added. 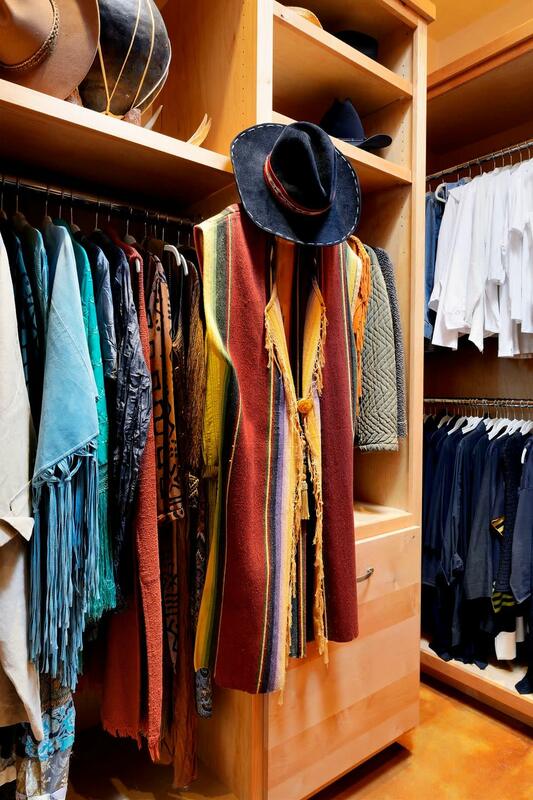 Valet rods were mounted to help organize outfits and simplify packing for trips. A pair of antique benches makes the space inviting. 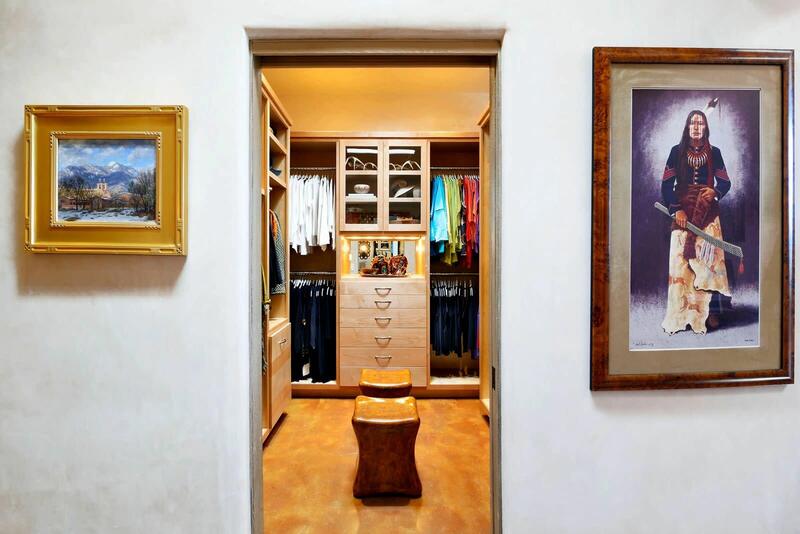 When people walk into my closet their first comment is how beautiful and peaceful the space looks and feels! It brings me joy getting dressed every day.